Home PARIPATRA BREAKING NEWS:- HTAT NI MANJUR THAYELI 1929 JAGYAO RAD KARVA BABAT NIYAMAK NO LATEST PARIPATRA. 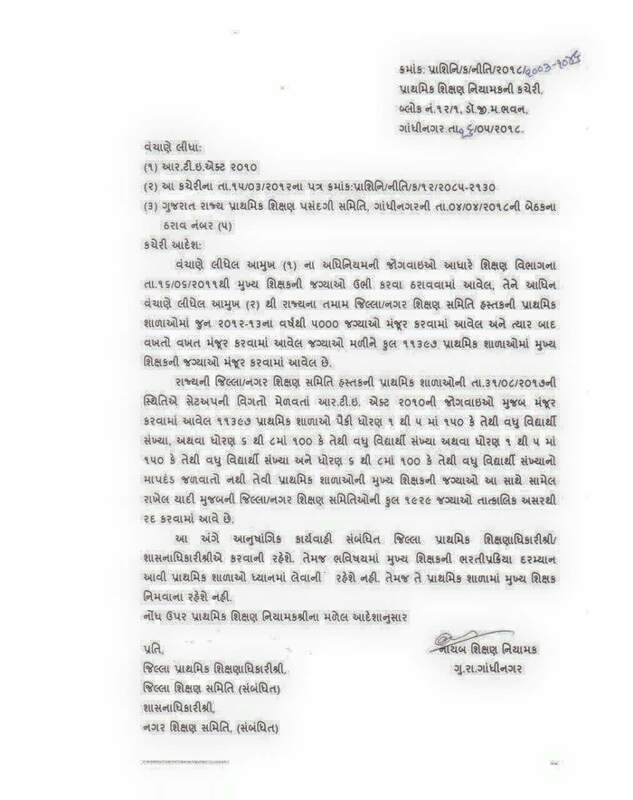 BREAKING NEWS:- HTAT NI MANJUR THAYELI 1929 JAGYAO RAD KARVA BABAT NIYAMAK NO LATEST PARIPATRA. From Tet Htat Guru Web you can Get various Subjects Related materials Like General knowledge, Gujarat TotaAlly General knowledge,English Grammar,Gujarati Grammar, Gujarati Literature, maths,science and other more materials.